Macpek is recognized as the largest independent heavy vehicle parts network in the province of Quebec. Having decided to centralize their operations, a mega distribution center of nearly 100,000 sq. Ft. was built in Saint-Augustin-de-Desmaures (a suburb of Quebec City) to serve their 13 branches and direct customers. 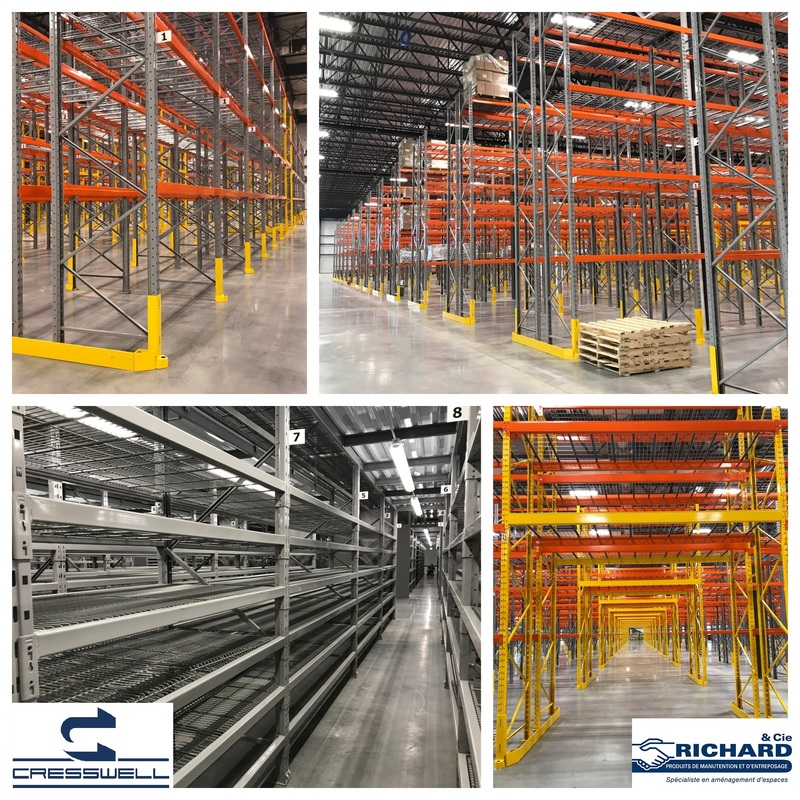 Macpek retained the services of Richard & cie to assist them in carrying out their project. Pallet racking was an important part of the equipment needed. Cresswell knew how to meet the needs of the customer both by the quality of the product and service, but also by their flexibility to adapt and even develop certain components that met more specific needs. Macpek has shown great satisfaction with the end result both in terms of product quality and installation. A great collaboration!